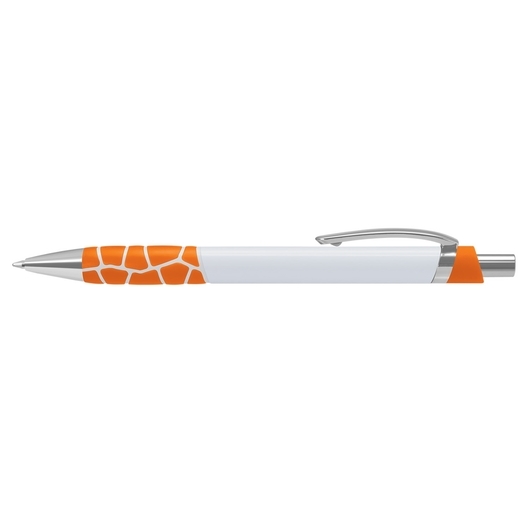 A stylish pen with a unique grip that will get you excited. 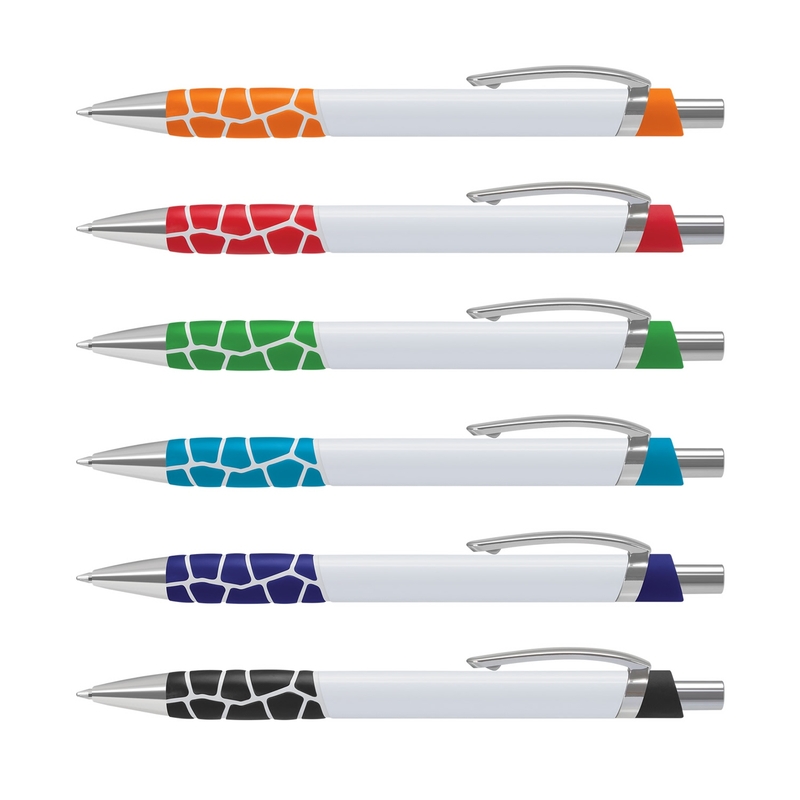 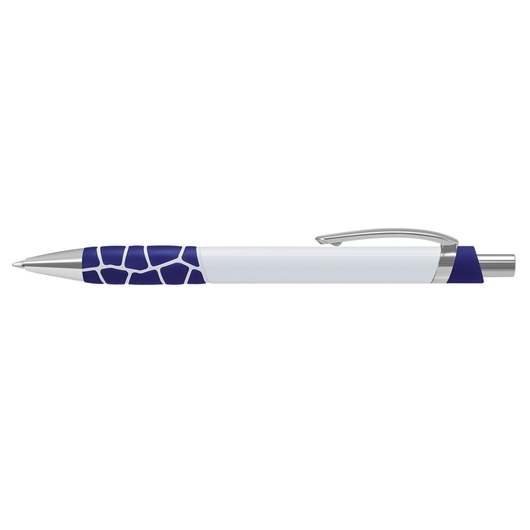 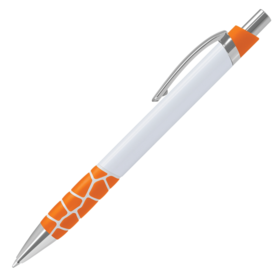 With a grip that reminds you of a giraffe's pattern these pens are both eye-catching and feel great to write with. They have a white barrel with shiny chrome accents as well as a comfortable rubber grip. Each pen hosts 1000m of black German manufactured ink and uses a tungsten carbide ball for improved writing quality.